JUNE 21st - 22nd, 2018: Geotech is hosting the 10th Annual Field Days Event in Denver Colorado. The event costs nothing to attend yet provides a comprehensive hands-on-experience that includes environmental sampling equipment demos, industry training, and sponsored happy hour for networking. 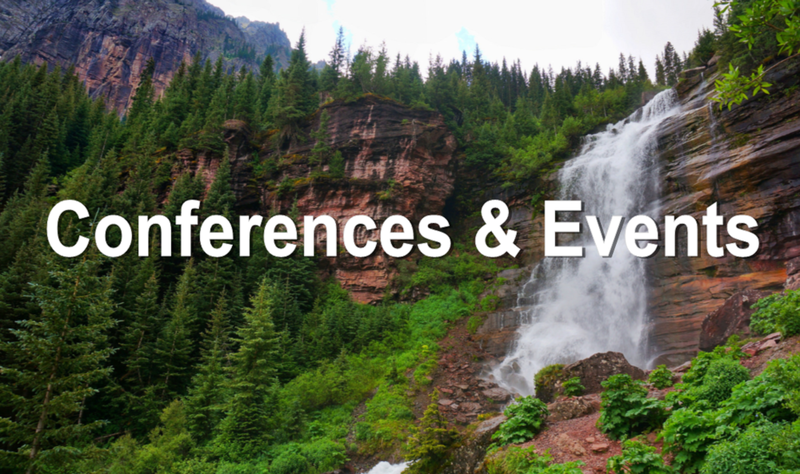 You can expect enriched presentations for respected names in the environmental industry. For more information and to register CLICK HERE. JUNE 21st, 2018: Wagers for Watersheds: A Community Happy Hour Event hosted by Water Education Colorado at Ivywild School – Gymnasium (1604 S. Cascade Ave. Colorado Springs), 5:00 p.m. – 7:00 p.m. Our watersheds are at risk from drought, urbanization and wildfire, and in some cases, in desperate need of restoration. Will our communities prove resilient in the face of these looming threats? It’s a roll of the dice. Join Water Education Colorado for an interactive learning experience and presentation focused on the health of our watersheds, our communities and our water. The invite list includes local elected officials, city and county staff, water industry professionals and other leaders active in and around El Paso County. This event is part of Water Education Colorado's Social Water Series and is brought to you in partnership with Colorado Springs Utilities. REGISTER HERE. JUNE 21st, 2018: Cross-Watershed Network Event hosted by the Middle Colorado Watershed Council. Join the Middle Colorado Watershed Council on a Cross-Watershed Network Event. On June 21st, we will hop on a bus and tour riverfront site projects along the Colorado River from Glenwood Springs to De Beque with local officials, river restoration professionals, and you! Registration is open on a first-come, first-serve basis and it does have a maximum number capped. Throughout the day, we'll visit potential restoration sites, fostering visions for projects throughout the watershed. In between stops, leaders of local and regional organizations will speak on a variety of topics that are important in our water world. To register and for a full description, click HERE. JUNE 28th, 2018: Watershed Summit at Denver Botanic Gardens. With over 200 water utility executives, business leaders, conservation experts, and other professionals coming together and sharing tested solutions, you will surely come away with new insights and ideas to help position your organization for success.The event seeks to add new voices to the discussion, introduce innovative ideas, and break down silos. The goal is to bring local influence to global freshwater issues. Topics include behavior change and public perception, technology innovation, resiliency, and agriculture- including emerging trends and opportunities. For more information, visit their website HERE.